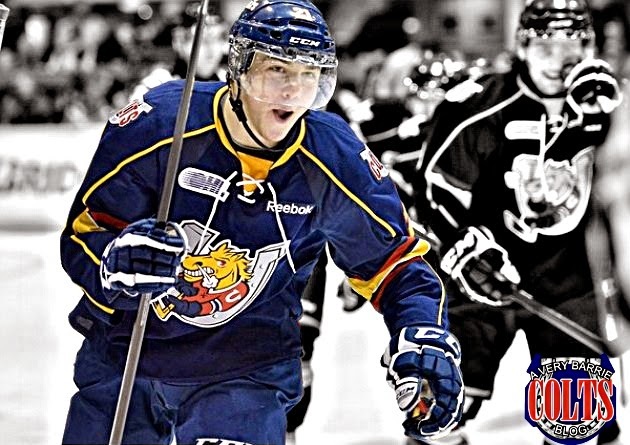 Barrie Colt 2014 Draft Prospects: Brendan Lemieux - Very Barrie Colts | A website covering the Barrie Colts of the OHL. Right now NHL.com has Brendan Lemieux projected to go 28th overall in this years NHL draft that will be held on June 27–28 at the Wells Fargo Center in Philadelphia, Pennsylvania. The 2013-14 season was a great season for son of former NHL'er Claude Lemieux. Brendan had a HUGE turnaround season. Having finished this year with 27 goals and 53 points in 65 regular season games (which tied him for 3rd in team scoring). 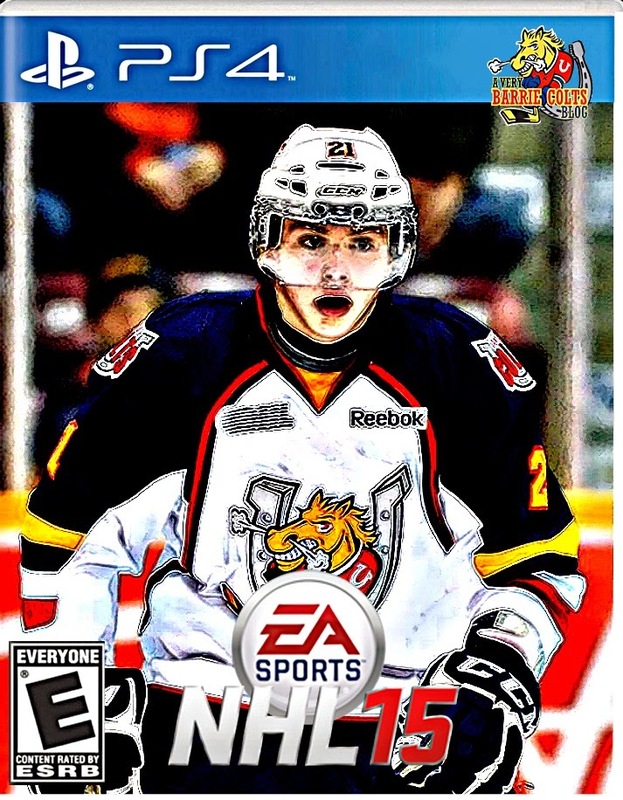 A huge jump from his debut season with the Colts where he only tallied 14 points in 42 games. No doubt that there are many teams headed into this years draft looking for a strong power forward that can not only get under the skin of players on the opposing team (Which, like his father Brendan is incredible at) but he can also be the guy that puts in the game winning goal after drawing a penalty. Though the Colts had a shorter than hoped for playoff run, it was not a result of a lack of effort from Lemieux. In the 11 playoff games he was able to get 7 goals and 10 points. Another huge jump from his previous playoff effort where he only managed to score 2 goals in 21 games. Lemieux can do just about anything. As mentioned, his ability to frustrate opposing players and score important goals but he also can be used in most situations. He proved playing with Andreas Athanasiou (Draft pick of the Detroit Red Wings) a very skilled player that he could be a huge threat on the power play with their creative plays together. Also, he is very solid on the penalty kill. Though he clearly obtained his being a pest from his father, that is not the only ability that was passed to him. Much like his father, Brendan has incredible speed. Another great ability of his is his one timer. If he is put on a team with a solid play maker (cough cough Sidney Crosby) there is no question that he has the ability to finish on many attempts. He can score goals, he can get assists.. He can do it all. Because nobody is flawless, many feel that his weakness is his play in his own end. Averaging near a point a game this season, he still found himself ending the year with a -7. I know, I know... Most of you don't love that stat but you can't always overlook stats you dislike. Lemieux is projected to go 28th overall. Earlier projections had him going 38th. Lemieux would best fit on a team that needs a an aggressive forward who can get not only into the heads of opposing players, but pucks in their nets.